The Texas Film Commission has denied state incentives to motion picture director Robert Rodriguez's film satire "Machete," the Associated Press reported Thursday. The commission, which is based in Gov. Rick Perry's office, said in a letter last week that it was denying funding based on a state law provision that allows for denial of incentives if the film "portrays Texas or Texans in a negative fashion." Conservatives blasted the film, which stars Robert De Niro, contending it endorses Mexican-immigrant revenge killings and would spark racial violence, even though the story of a Mexican assassin out for revenge was widely considered to be satire. The film was released in September. Director Robert Rodriguez: LiLo "Was Fantastic to Work With"
Director Robert Rodriguez talks about his new action movie, "Machete," and how he got such a great cast. Also, Robert says Lindsay Lohan "lights up the screen." 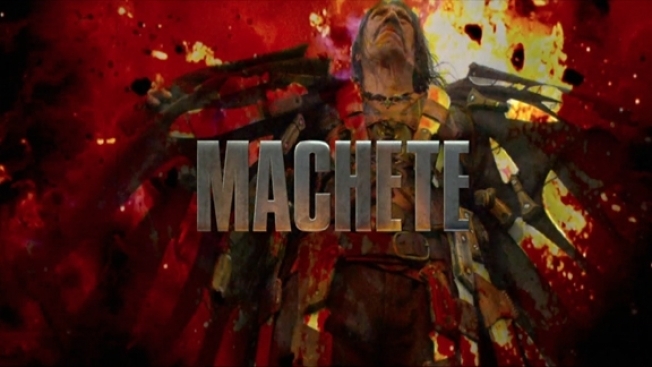 Rodriguez told The Associated Press at the time that without the bill he would have had to move the production of projects, including "Machete," to another state. "Thanks to this bill, I don't have to go shoot out of the state," Rodriguez said.